I found this on Pinterest today and thought it would be a really healthy recipe. I was disappointed that the original blog used jarred spaghetti sauce and frozen meatballs though. So tomorrow I’m going to make my own version of this with homemade spaghetti sauce and homemade turkey meatballs. It’s just those three ingredients, a spaghetti squash cut in half and cleaned out. 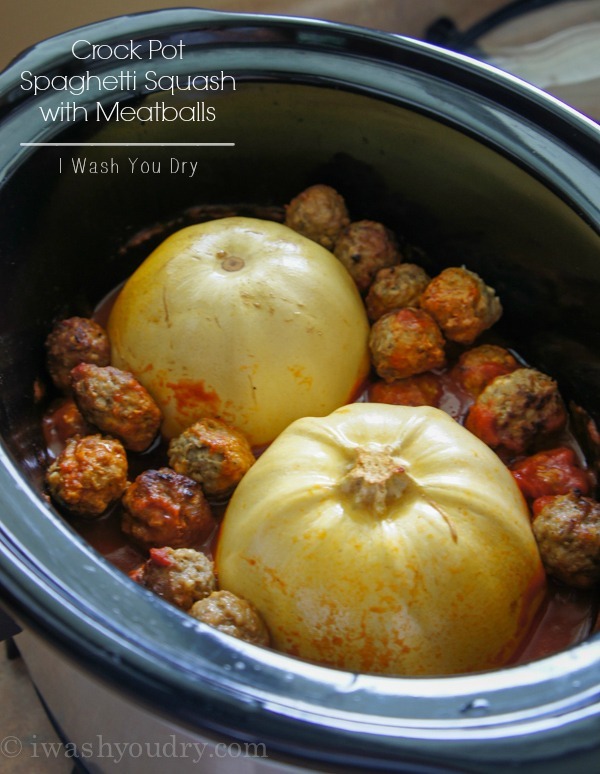 Place it open side down, fill the crock pot with your sauce and meatballs and turn it on high for 3 hours or low for 5 hours. Then using a fork scrape the spaghetti squash out and enjoy a healthy version of spaghetti and meatballs! I will update and let you know how it goes! The whole house smells good!